Accommodation in Malta offers a vast selection of choice catering to everyone’s taste and budget. So finding cheap hotels is Malta is not difficult. One can stay while visiting our islands, including a plethora of 5 star, 4 star, and 3 star hotels as well as guesthouses, guaranteed to meet the needs of every traveler. For the self-catering tourist, one can also opt to rent a flat or an apartment or even a luxury villa or a converted farmhouse in Gozo. Sliema, St. Julian's, St. George’s Bay and Gzira are the prime areas for central accommodation in Malta where the majority of hotels are located along the seafront or secondary roads. During the day you can go to St. Julian's / Gzira / Sliema where you can enjoy walking along the promenade and also where tourists can embark on boat trips. Many coffee shops can be found along the shopping area where one can stop for lunch or simply stop for a rest whilst enjoying the view of the Valletta bastions across the harbour. 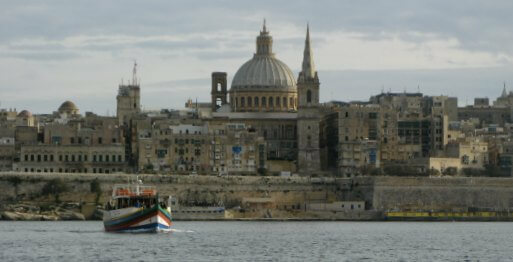 Various accommodation in Valletta are available. Bugibba, Qawra and St. Paul’s Bay area is our next touristic area which offers a vast range of accommodation options. These localities are adjacent to each other and, offer a variety of accommodation like 3 and 4 star hotels, guesthouses, holiday complex and apartments. It is another area for lovely promenade walks, shops, meeting areas, rocky beaches and a variety of entertainment though not quite as upmarket as the central area of St. Julians and Sliema. This area is quieter in winter. The areas of Bugibba and Qawra were built some forty years ago and are less densely populated too. During summer this is a very popular area with tourists as well as locals who come here for the summer months since many of them own a private summer residences. Bugibba restaurants are always full from fish restaurants to all kinds of foods. The Oracle Casino situated at the Dolmen Resort hotel attracts many while others meet at the central square to drink beers and wine enjoying the evening fresh air. The northern beaches are not least like Golden Bay where you find the Radisson Blu Resort on the gill side facing the bay. There are other areas which also offer a variety of accommodation in Malta. These are Valletta, the capital city, Mellieha, Golden Bay, Marfa and Marsascala. Valletta overlooks the Sliema and Gzira area, while Mellieha, Golden Bay and Marfa are on the northern part of the island. This latter area is much greener as it is not commercialized and is more rural. Marsascala accommodation, on the other hand, is located on the southern tip of the island where one can also find many restaurants situated along a very pleasant promenade popular with tourists and locals alike. Maltese restaurants are abundant and versatile in the different types of food that they offer which compliments your holiday in Malta. They reflect a whole spectrum of cultures such as Italian, Mexican, Greek, Chinese, Indian and Japanese restaurants; as well as Maltese restaurants of course which serve typical food. If you are a fast food fan and feel at home with the likes of McDonalds, Burger King and KFC Malta you will not have to go without as there are several outlets in various localities spread around the islands. Hotels and resorts highly compliment the versatility of international Maltese food. They add up to a very high standard of service to both Maltese and tourists. For the Maltese enjoyment of good food with family and friends has always been an important part of their lifestyle. We enjoy some 300 days of sunshine every year so you can pick any time of year to come as often as you can for your holidays on our islands. However the best time to visit our gem of an island is April to June or late September to beginning November. These are the Spring / Autumn seasons before the weather gets too hot or too cold. Although the weather between July and September tends to be very hot, however one can always cool off with a swim. Winter time is between January to March and bargain accommodation is available in all categories of accommodation. We hope to have wetted your curiosity about getting to know our accommodation in Malta and discover this little gem of an island for yourself. Our site pages provide you with the many things to do while you are here, will make your holiday a time never to forget.